An assortment of metric e-clips from Hillman with variants sized M4 thru M15 in diameter. E-clips, also known as "e-rings," are used to secure parts to a shaft. They fit into grooves in the side of the shaft for a snug fit. E-clips come in different types depending on specific application needs. 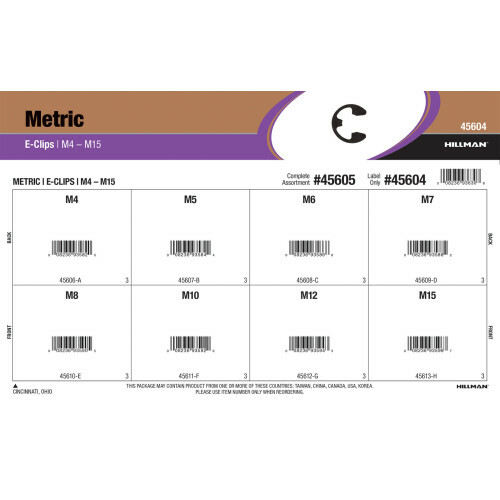 Full assortment contains eight (8) refills comprised of Hillman item numbers #45606 - #45613.